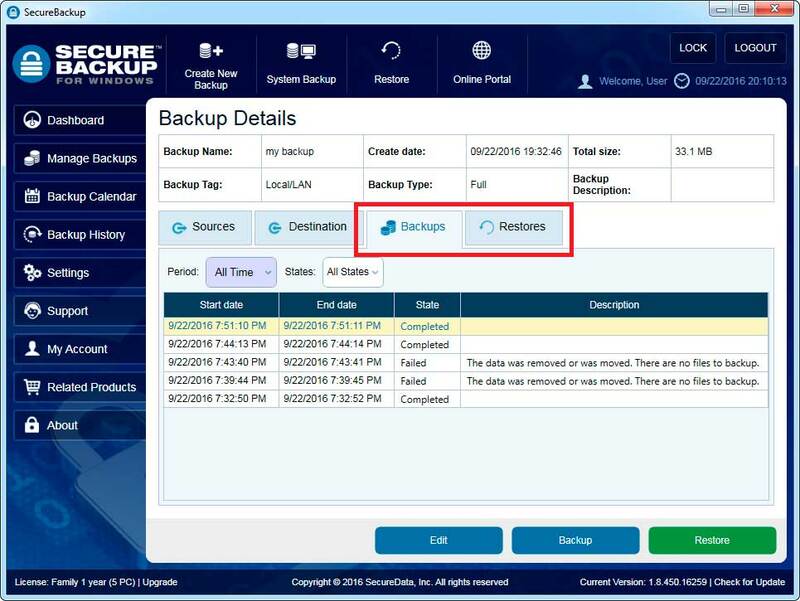 All operations performed by SecureBackup are logged (Backup and Restore). 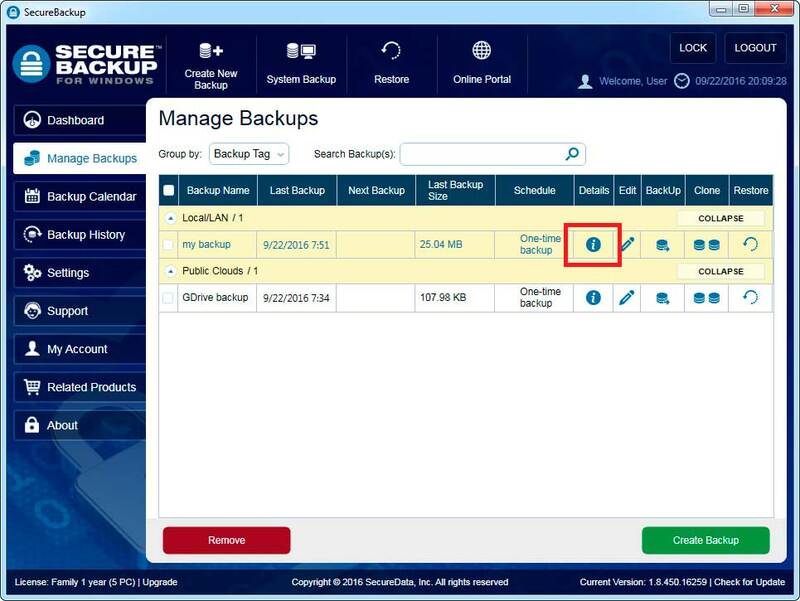 Go to "Manage Backups" menu and press "Info". 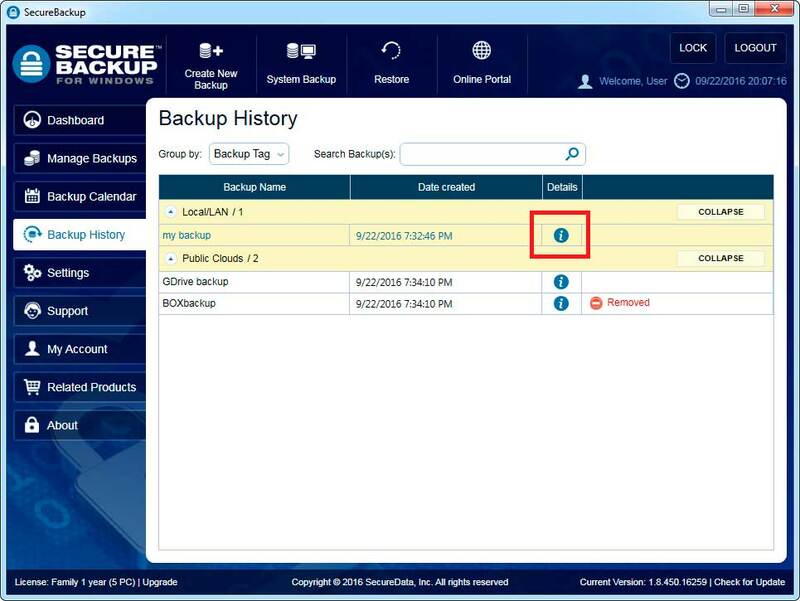 Go to "Backup History" menu and select desired backup job and press "Info". 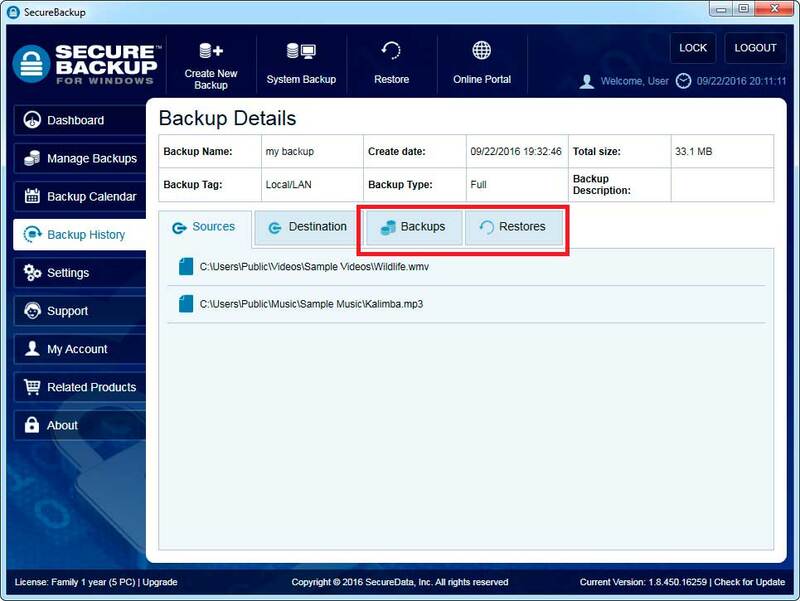 Click on the “Backups” tab to view all of the backups performed and their status. Click on the “Restores” tab to view all of the restored jobs and their status.